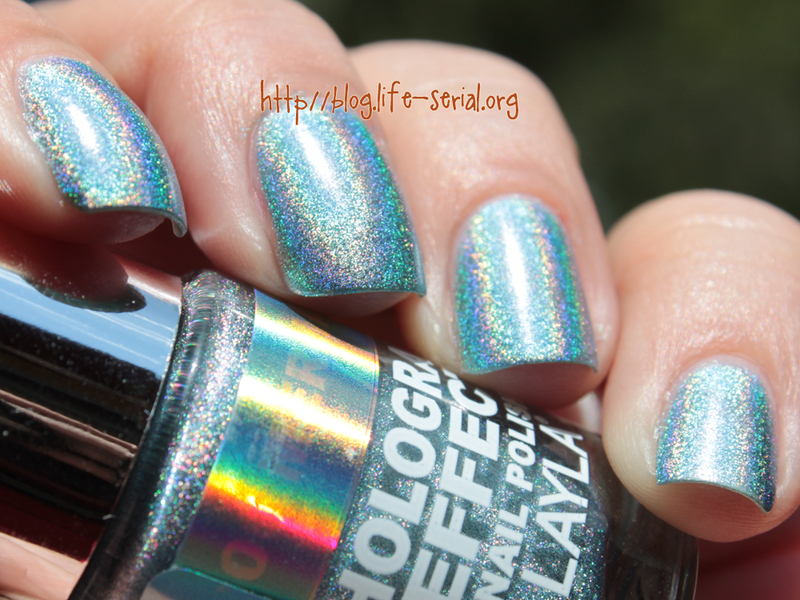 It's no secret that I'm not really a holo person. I like the occasional holo polish, don't get me wrong, but overall, they just aren't me. However, I have found a holo that I absolutely love. 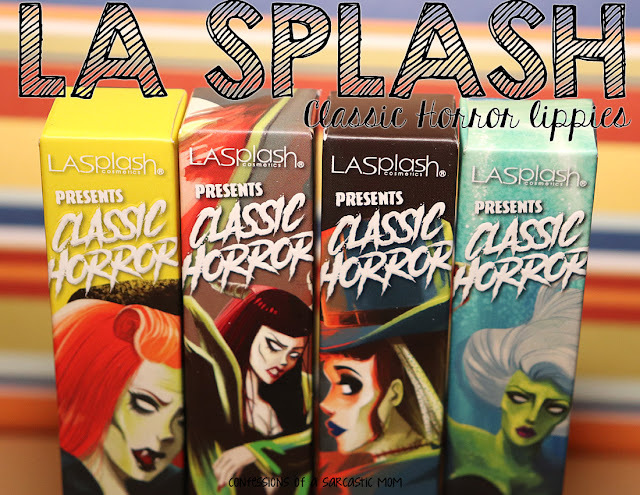 I can't put it into words haha (Laurie, are you reading this?) 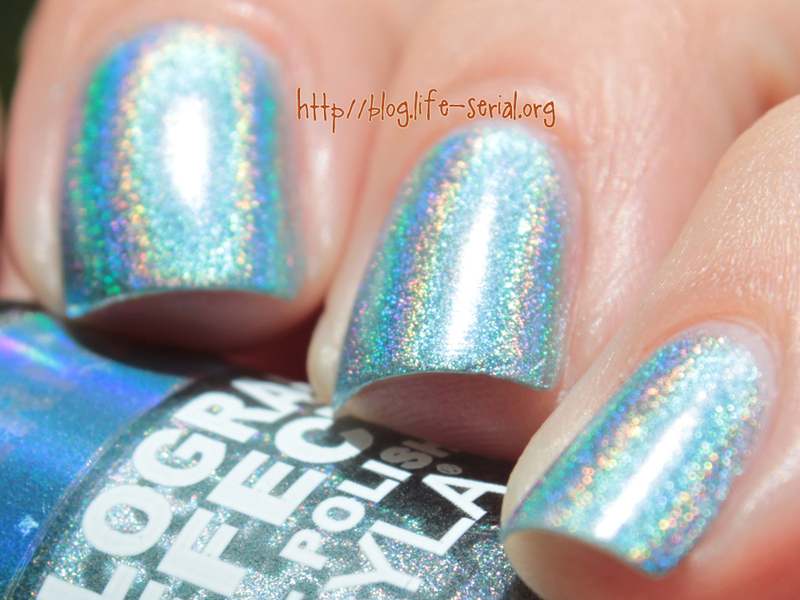 It's a Layla Hologram Effect polish, and it's an icy blue called Mermaid Spell. See what I mean!? O.O Amazing. It just...I can't quit staring at it. 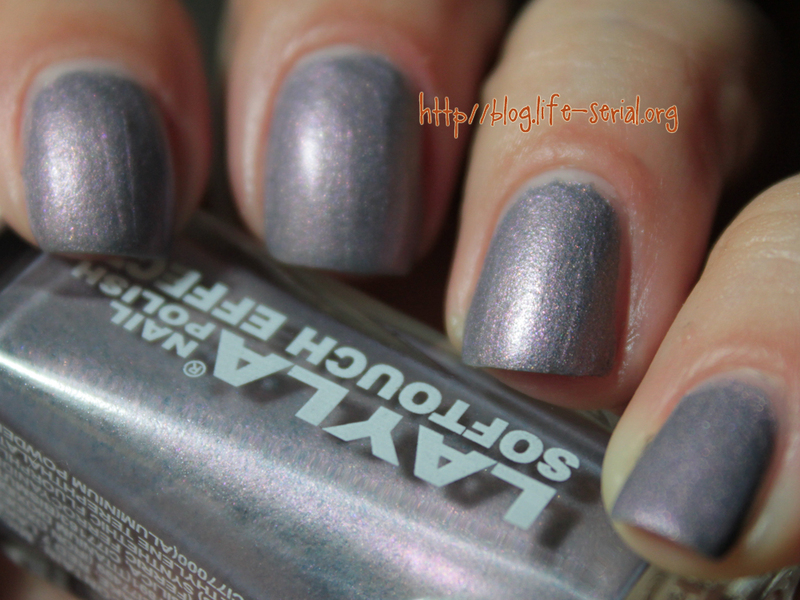 Maybe I've had it in for holos all this time because I got a bad one or something? But this is just simply stunning! So I must take back any bad things I said about holos. I will wear this one again. 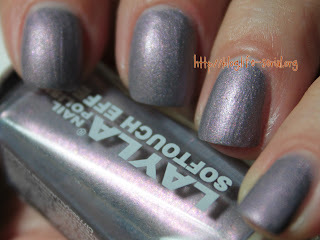 I also have another Layla holo to show you guys, but that will be in a later post. 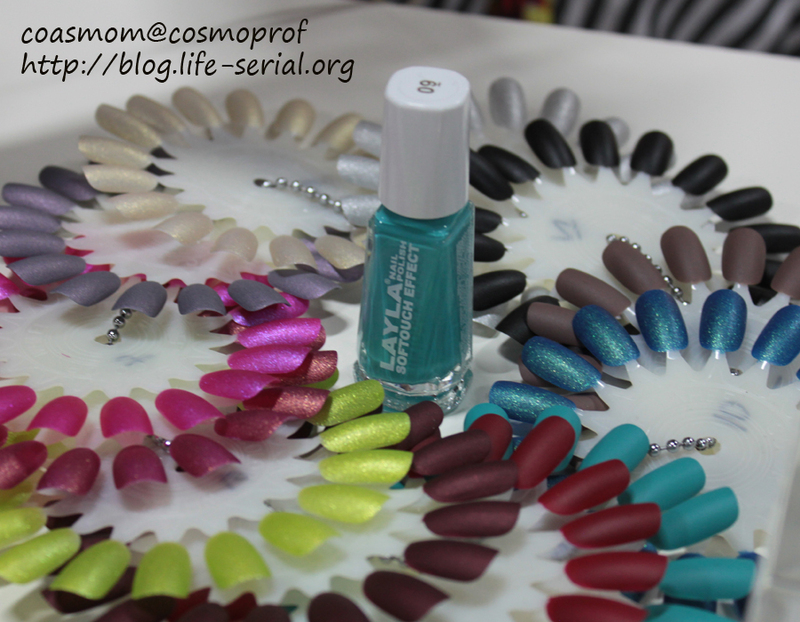 I do have two other Layla polishes to show you! 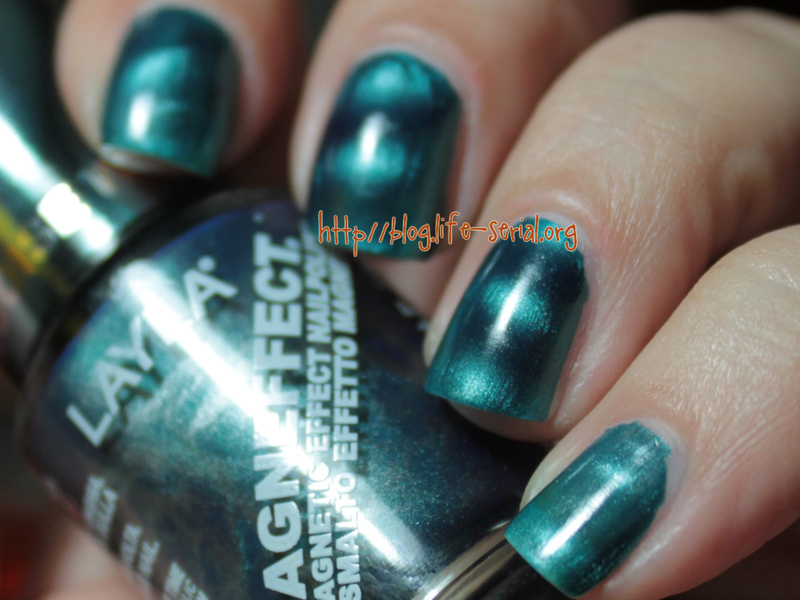 The first is a magnetic polish called Turquiose Wave. 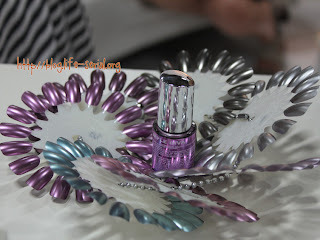 I had never tried magnetics before, and these were super easy to use. The magnet is in the lid of the polish. Amazing huh? 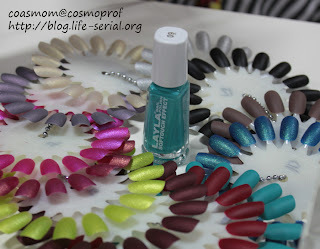 I do have more Layla polishes to show you later :) I was lucky at Cosmoprof and met the Layla ladies, and I also attended a cocktail party with the ladies. 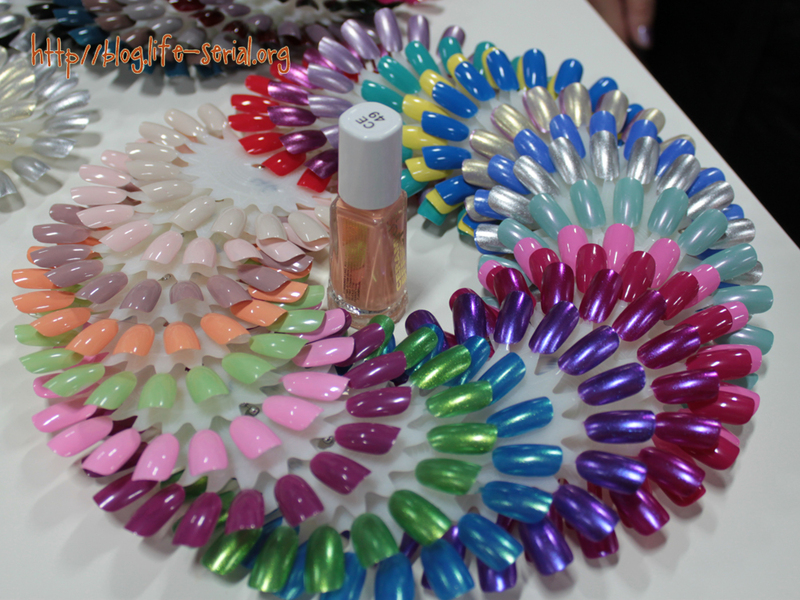 Here are some of the awesome nail wheels they had set up at their Cosmoprof booth! 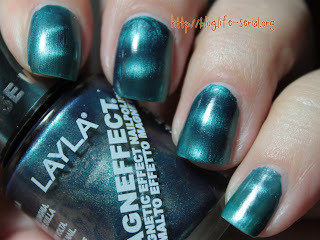 I will bring you more Laylas in a later post!